October began with preparations for the national Fun Palace activities which were due to take place on Saturday the 6th of October. The Fun Palace is an event that takes place around Britain mainly, but not exclusively in Libraries. 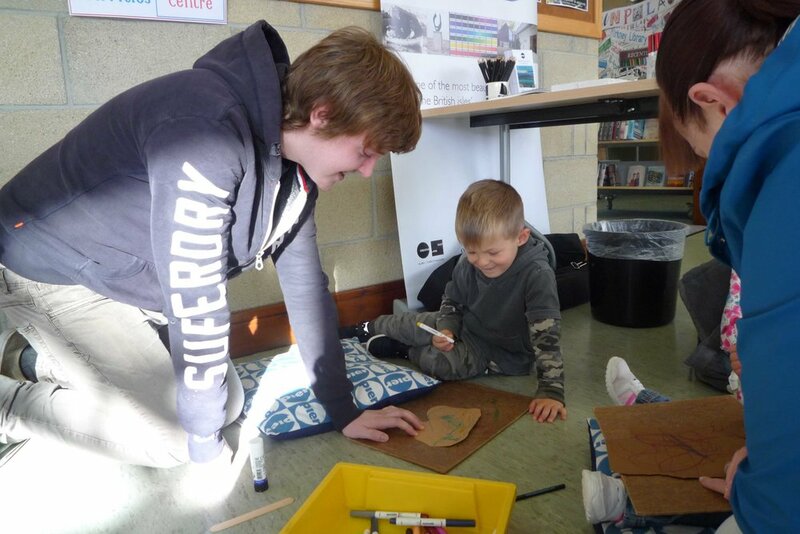 We were due to have a workshop in the Orkney Library so we compiled some activities to do with the participants. 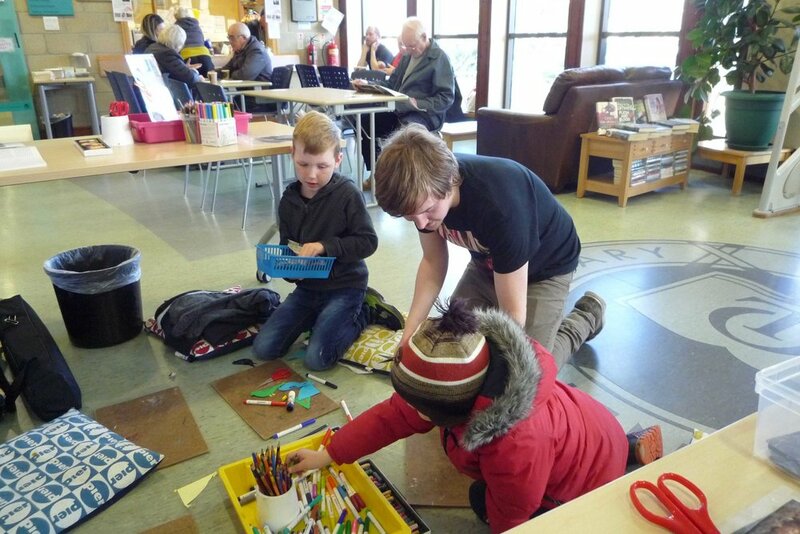 I arrived at 9:30am and begun setting up the activities for the day, our activities were all inspired by Sylvia Wishart – one of the workshops included making hare puppets using card and premade templates which we stuck onto lolly sticks. This activity proved to be very popular, garnering quite a lot of little enthusiastic artists ranging in age from 2 to 14. The second most popular one, was the bird chains, comprising of three little birds, decorated by the young folks, which we then joined together using string. The final activity that we put on was a drawing activity – the participants each drew their own piece of art on a bit of tracing paper that was then sealed in a frame made out of card. The event gave me a good chance at engaging with the community and was a great success from everybody’s point of view. 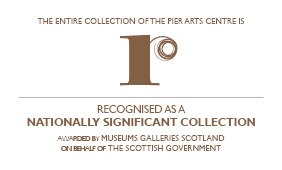 The next week involved arrangements for the October Break children’s activities which were scattered throughout the gallery spaces at the Pier. We arranged an activity for each day of the week and put them into separate trays for ease of organisation. 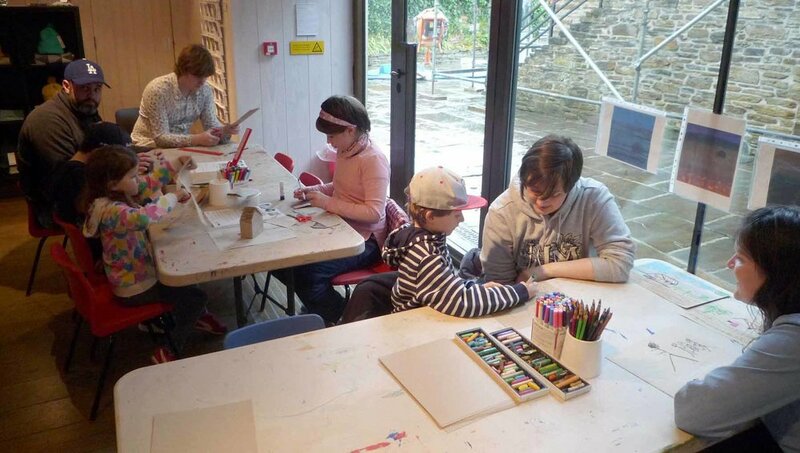 Some of the activities included drawing pictures and making paper versions of the Hudson’s Bay Company Huts Inspiration for this activity came from the current Barbara Rae RA exhibit that is on show in the gallery until November the 10th. Other activities included, still life workshops based on the work of Keith Vaughan who is an artist featured in the permanent collection. Some weaving activities using cardboard with twine and wool – inspired by the famous Hudson’s Bay Company blankets. There was a ‘pumpkin’ hunt that was running for the full to weeks in anticipation of Halloween. The object of the activity was to find the various pumpkins dotted around the gallery and to draw the paintings that they were beside. If the kids got all nine right they got the prize of a sweetie or a sticker. All in all this month was a pretty fun filled month with a lot of practical craft activities, it gave me a lot more insight into the public engagement side of the gallery and how to put together and oversee workshops for the community at the Pier. I look forward to more of these kinds of events in the future!